Leading Manufacturer of Coil Winding Machine, Winding Machine, Clutch Motor, Lift Bracket, Shamruthi AC Drive Motor and Vacuum Pumps from Coimbatore. 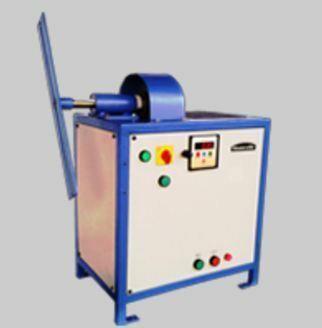 This product succeeds the motorized coil winding machine. We have completely altered the mechanism for the betterment of the performance. This setup is completely controlled by drives with digital counters. So frequency of errors is null. The rpm of the former is controlled by a knob from minimal to maximal range. Electromagnetic brakes are installed for exact positioning. Number of rotations and steps are pre programmed and even could be changed according to the need. We are also manufacturing Vacuum pumps for applications primarily in making machines used by the dairy industry. These vacuum pumps are also manufactured with our same commitment to provide international standard quality and trouble free running even in tough conditions. To create Vacuum in a system, it is necessary to move all the molecules of gas out of that particular system. The molecules will move only if there is a pressure difference between two regions of space. Any device which induces a pressure difference between two regions in the system is called a pump. The pump which creates the vacuum in the system is the Vacuum Pump. Transfer vacuum pumps are also known as kinetic pumps. They impart momentum to the gas, which is pushed in such a way that the gas is transferred continuously from the inlet of the pump to the outlet. The trapping vacuum pumps or the capture pumps are located inside the containers being evacuated. They remove gas molecules by sorption or condensation on its internal surfaces. Vacuum levels can be measured with simple manometer,i.e., U - tube. In general the special devices which measure the vacuum levels are vacuum gauges. 4. Standard Speed : 1440 Rpm. 6. Working Temperature : 850 degrees Celsius. 7. Required : 1 hp at 1440 rpm. Our highly competent R&D team of technicians is constantly trying to improve the standard as well as come out pioneering innovations,which will suit the textile industry needs better. This constant has seen us come out with a new modified component,.i.e., Rear distributor for LR G5/1,Ring frame P3 model top arm. It is simply replaces the exiting rear distributor in the guide arm((Top arm) while allowing for the use of the exiting pins and saddles. Thus small a investment ensures great improvement in the quality of yarn. It also ensures 20 - 25% reduction i yarn imperfections ,classimat faults and marked improvement in your uster value and CSP. All this new innovations has been yet another feather in our cap. Our commitment to service of the textile industry has seen us making such unique innovations, we hope to continue in the future also. The basic setting are given below, it will vary according to the count processed. The same pins and bearing saddles can be used.